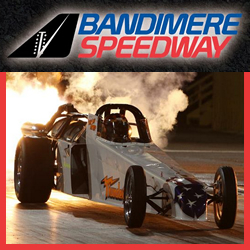 Bandimere Speedway presents its opening season night event with the NAPA Auto Parts “Night of Fire & Thunder on the Mountain.” NITRO nostalgia funny cars, Jet dragsters, and more make this a family racing event you will not want to miss! The annual event also includes the popular “Race to Read” program sponsored each year by Bandimere Speedway – school children earn prizes and entry by reading books. The six week long Race to Read program has helped thousands of Jefferson County Colorado school children and their families excel in literacy and improve elementary age standards.